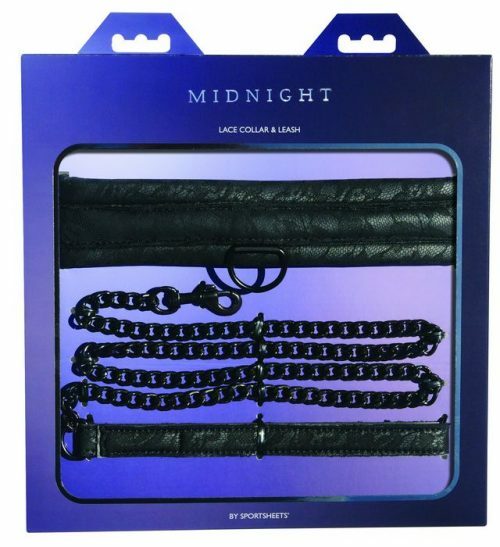 Sportsheets Midnight Lace Collar and Leash. The comfortable padded collar, made of soft, inviting fabric of fine lace, fits perfectly around most any size neck. The 30 inches metal. linked leash serves as a constant reminder of who is running your fantasy. 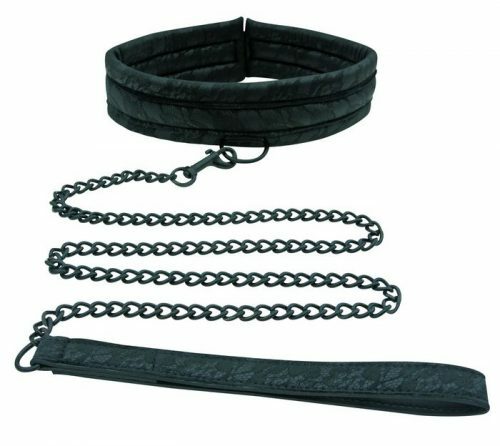 Minimum collar size 15.5 inches to maximum collar size 22.5 inches. Size of collar with Velcro in the normal position 19.5 inches. 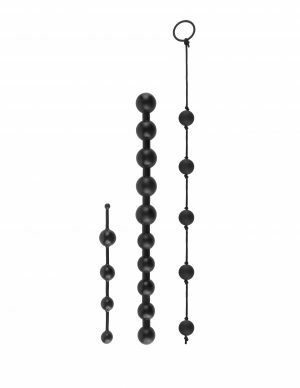 Materials polyester, polyethylene, nickel free metal, polyurethane, hook and loop, polypropylene, Spandex. Includes: 1 Lace collar, 1 Leash, Minimum collar size 15.5 inches, maximum collar size 22.5 inches, size of collar with Velcro in the normal position 19.5 inches. One size fits most. Color Black.